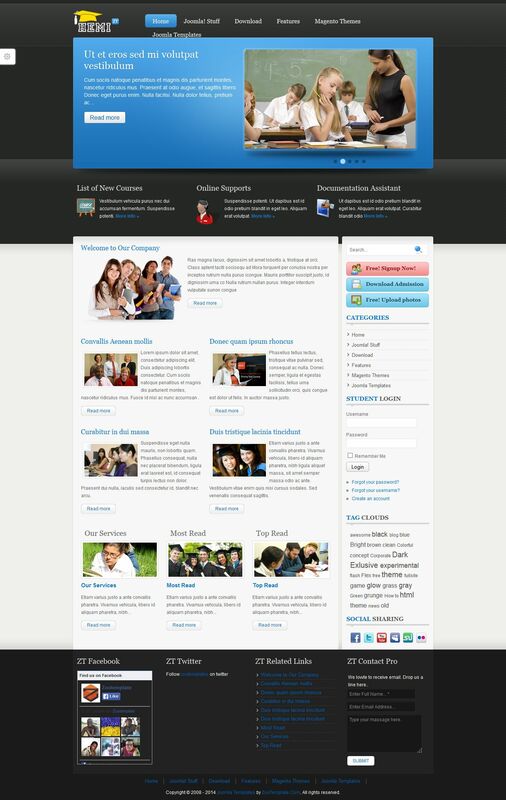 ZT Hemi - new stylish template developers ZooTemplate, which is fully compatible with Joomla 1.7. This template is designed with warm colors, has 24 module positions, support for mobile devices and compatibility with components Sobi2 and SobiPro. Having the support of Mega Menu allows you to create easy to navigate through the site. Also template comes with popular extensions studio JV Headline, JV Twitter, JV Contact Pro and JV Facebook, which greatly improves the functionality of the site.